Nothing good ever came from dwelling in drama, until now. 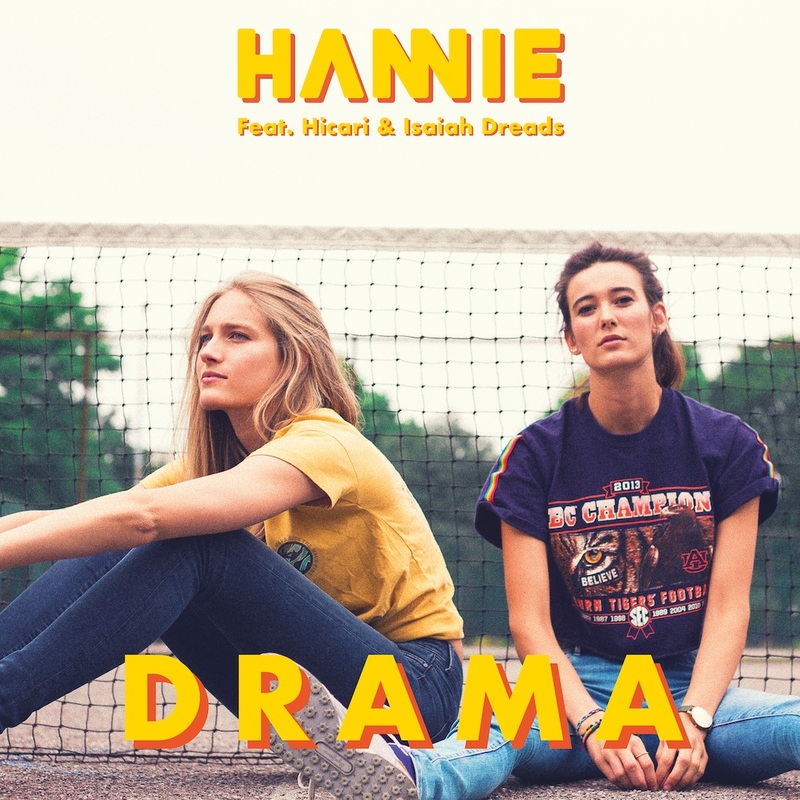 HANNIE’S new song “Drama” with Hicari and Isaiah Dreads is a euphoric, feel-good reminder that there’s always two sides to a story – you can either fight, give up, or listen. By the end of this track, we’ll all be chanting “drama, drama, drama” at the top of our lungs! Atwood Magazine is proud to be premiering “Drama,” HANNIE’s fifth single and their first release of 2019! 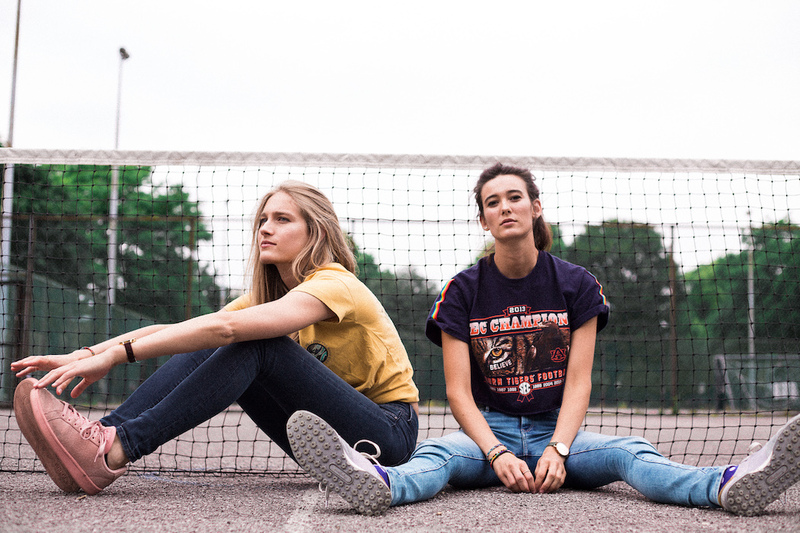 One of Atwood Magazine‘s 2019 artists to watch, HANNIE is the East London-based pop duo of multi-instrumentalists Hannah Koppenburg and Annie Wagstaff — Hannah + Annie = HANNIE. After debuting in early 2018 with “Cosmic Bound” (feat. Carys Selvey), the pair have continuously wowed audiences with catchy pop song after catchy pop song. Atwood Magazine described their intimate anthem “Low Key” as “an infectious outpouring of passionate pop energy and intense emotion.” Their previous release, November’s “Stay Another Night” featuring Hight, is a jammy, fast-paced breakup of sorts – sometimes it’s hard to tell if a song so upbeat is really about a “sad subject,” or if we’re just reading the lyrics wrong. HANNIE are about the good vibes, but they accomplish this while still working in strong stories and layered themes that make each song an exciting adventure. While its lyrical content may be dark, “Drama” is upbeat and effusive – an unapologetic singalong meant to be pumped at full blast. Hicari’s warm tenor adds extra depth and flavor to the mix as he sings the second verse and joins HANNIE in the chorus; meanwhile, Dreads’ third verse rap paints a dazzling portrait of emotions post-breakup with effortless flow. His words capture the lingering feelings in a relationship’s aftermath, speaking to how much two people can get to one another and give each other drama long after the “I love yous” have stopped. Throughout all of this, “Drama” inspires smiles and good feings. It’s a fun song – it’s what HANNIE do best! Maybe you’ve had some recent drama of your own – or maybe you’ve seen stuff play out in your friends’ lives, or on TV. Drama is everywhere, but it’s never been as fun as it is with HANNIE, Hicari, and Isaiah Dreads. Their song manages to take all the troubles away, while at the same time painting a vivid portrayal of stress and tension between two people who probably just aren’t right for one another. Bop along with this bona fide jam by streaming “Drama” exclusively on Atwood Magazine, and stay tuned for more from HANNIE in the months to come!